Rail technology leader Bombardier Transportation is further expanding its North American rail control presence with two new mass transit projects. The first project will deliver the BOMBARDIER CITYFLO 650 communications-based train control (CBTC) solution for Toronto's Eglinton Crosstown Light Rail Transit (LRT) Line. The contract with Crosslinx Transit Solutions is Bombardier's first rail control project in Canada. As part of the city's largest transit investment, this is a significant milestone marking Bombardier's expansion into the Canadian rail signalling market. 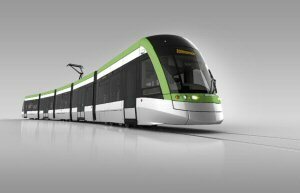 A truly integrated system supplier, Bombardier is also delivering a fleet of BOMBARDIER FLEXITY Freedom light rail vehicles for the LRT line. In addition, Bombardier is starting to install the BOMBARDIER INNOVIA automated people mover system at Chicago O'Hare International Airport, one of the world's busiest airports, in a project which includes its advanced CBTC technology. Bombardier can now list eight airports across the USA as being equipped with its CITYFLO 650 system. This roster includes major airline hubs: San Francisco International, Dallas Fort-Worth and Phoenix International Airports. Peter Cedervall, President, Rail Control Solutions Division, Bombardier Transportation, said, "We are particularly pleased to be expanding into Canada, our corporate home market, and be recognised as a trusted supplier across North America. Our solutions move millions of passengers a year, safely and efficiently, while reducing operator costs and increasing capacity, a vital contribution to meeting the demands of urbanisation." Bombardier Transportation already has a well-established rail signalling presence in the United States. Its Centre of Competence for Automated People Mover systems in Pittsburgh is also home to its Rail Control Solutions Centre of Competence for radio-based train control solutions including the CITYFLO 650 CBTC technology. A pioneer in signalling, Bombardier delivered the world's first driverless CBTC system to San Francisco in 2003. As well as extensive mass transit rail control projects delivered since that time, it is implementing the Positive Train Control (PTC) upgrade for the Long Island Rail Road and Metro North Railroad projects. 2015 is a milestone year for Bombardier with its Rail Control Solutions Division celebrating its 100th anniversary of leadership in rail control. Bombardier is committed to shaping the future of signalling and, as well as advanced CBTC solutions, has developed many innovative technologies including: the world's first Computer-Based Interlocking (CBI), global-standard balise technology and high-speed, regional and industrial mainline signalling solutions. Bombardier Transportation, a global leader in rail technology, offers the broadest portfolio in the rail industry and delivers innovative products and services that set new standards in sustainable mobility. BOMBARDIER ECO4 technologies - built on the four cornerstones of energy, efficiency, economy, and ecology - conserve energy, protect the environment, and help to improve total train performance for operators and passengers. Bombardier Transportation is headquartered in Berlin, Germany, and has a very diverse customer base with products or services in more than 60 countries. It has an installed base of over 100,000 vehicles worldwide. Bombardier is headquartered in Montréal, Canada. Our shares are traded on the Toronto Stock Exchange (BBD) and we are listed on the Dow Jones Sustainability North America Index. In the fiscal year ended December 31, 2014, we posted revenues of $20.1 billion. News and information are available at www.bombardier.com or follow us on Twitter @Bombardier. BOMBARDIER CIYTFLO, FLEXITY, INNOVIA and ECO 4 are trademarks of Bombardier Inc. or its subsidiaries.